Previous posts indicated our compass heading to be generally 180 degrees. Motorhomes can't go in the water, at least Phaeth can't, so today we will reverse course and head generally northward. It's probably a good thing since it is very warm down here in the Keys this time of year; uncomfortably so in the middle of the afternoon. 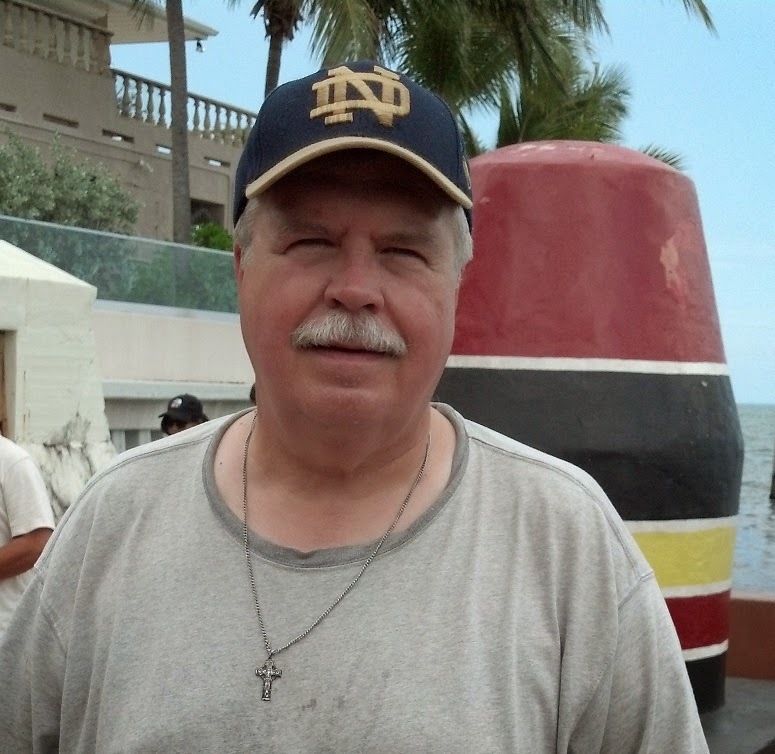 The photo of me at the "Southernmost" marker in Key West shows me a little wilted. 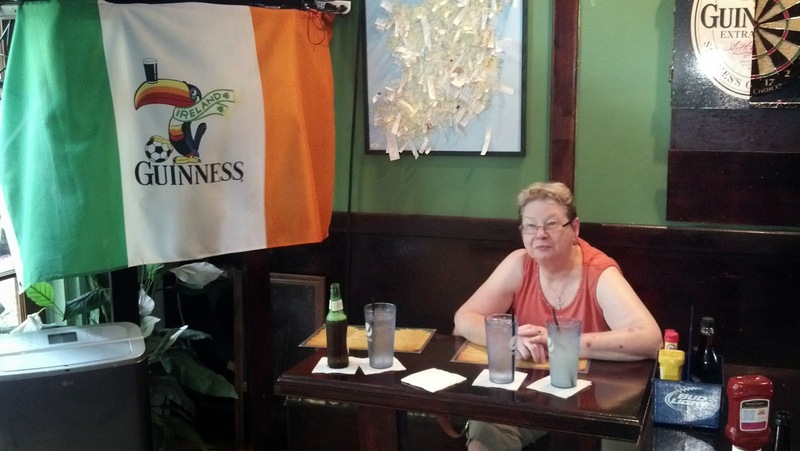 While in Key West we stopped in for lunch at an Irish pub (the waitress was actually from Ireland) which was a nice place. As you can see Joanie is wilted, too, and we took the opportunity to re-hydrate somewhat. We came down to the Key because we had never been, they were close, and we had heard so much about Key West. Well, now we can say we have been there. If that statement shows a little disappointment in my attitude it is because we were. 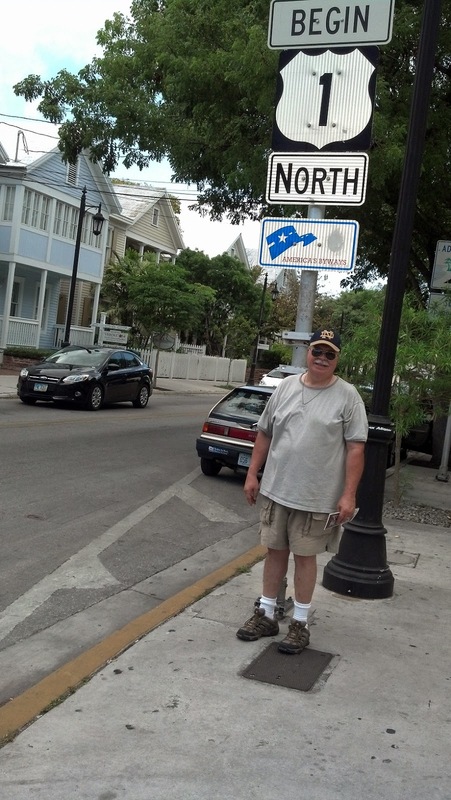 It is more than a little touristy in Key West and we should have expected it. It may also be because two giant cruise ships were docked at Key West each carrying 5,000. The ships towered over the churches, homes and museums. We came down in the summer off season to avoid the crowds and encountered them anyway. Oh well, such is life on our crowded little planet. So today we are headed toward and hope to make Naples, Florida by evening and camp there for a couple days then keep heading northward.